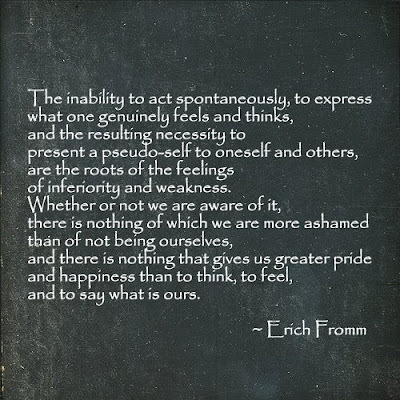 This quote from Erich Fromm makes me speculate that one of the main attractions of blogging is that we can drop the defensive posturing of our pseudo-selves and think, feel, and say what is truly ours. Of course, I am sure there are those among us who have constructed pseudo-selves to present in their blog (whether they are aware of it or not), but I find most bloggers I have met here use the medium as a venue for authentic expression. There are as many reasons for blogging as there are bloggers, so perhaps there are many degrees of authenticity here too. I try to be as authentic as possible with what I do post. However, I do not post about many things that matter to me because I made the error of allowing my identity to be known, and of telling some friends and family about the blog. As mentionned in a previous post, I am also concerned about revealing things that could distract any clients (who accidentally find this blog) from their work with me. Do you find this to be a medium where you can think, feel and say what is truly yours? 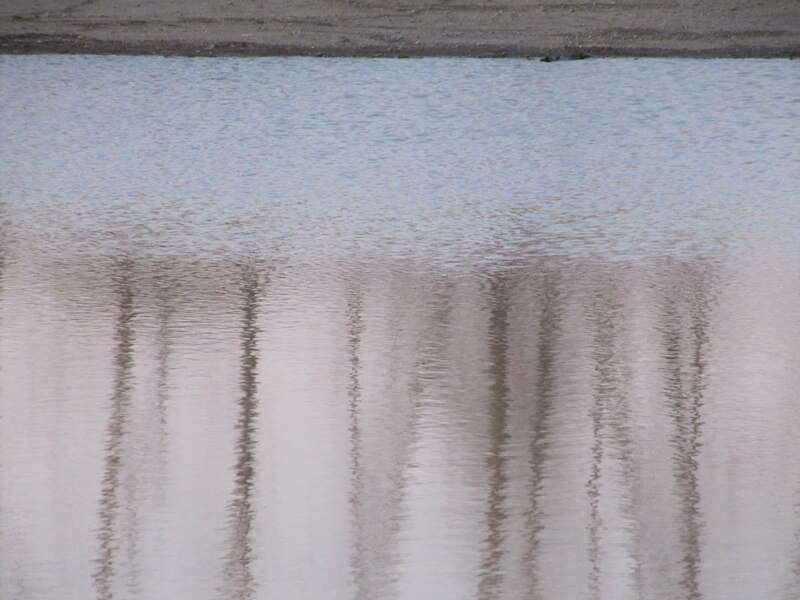 Or, do you find (for whatever reason) that you share only reflections and shadows of your authentic self? We must all do this to a degree, for our ego is always trying to put its best foot (image) forward. It is natural that we want to paint ourselves in the best possible light ... However, I often ask myself how much of what is truly mine/me I allow myself to share here. I can be quite forthright, flippant, quirky and candid at times. This does not come over well on a blog because you cannot hear the tone of my voice, my giggle or see the twinkle in my eye. Posts where I have allowed these qualities to appear end up sounding almost hostile. So because of the medium and its limitations I hold back on exhibiting this quirky side of myself. That does not mean that what I do post is inauthentic, however. Perhaps I have sorted out my own question here - we reveal facets of our multi-faceted selves and are probably as authentic as we can be with what we do reveal. What's your take on this? The few times in my life that I have tried to be someone else, the someone I wanted to be (for various reasons mostly having to do with having friends or feeling like part of a group) it has failed miserably and in short order. I could never keep my real self quiet or submerged for very long. Deceit, playing games has always been difficult for me and I don't tolerate it well in others. If asked, I will tell you exactly what I think and feel and sometimes I'll offer it unasked. I tend to warn new possible friends that I can be hard to take sometimes but I'm not mean, not mean-spirited. In my life, and my blog as an extension of my life, is the unvarnished truth (well, maybe just a little gloss). there are a few stories I would like to tell, stories I don't tell because although those stories involved me deeply they also involved others close to me and I try not to invade that privacy of theirs since I have made no effort at all in hiding my identity. But other than that, I will, I do, put me out there. If I think it, I'll say it or write it. Anything else is just too difficult to maintain. My identity is known on my blog as well, but I don't have to worry about clients and anyone else....well I don't think much about that. I am rather open, but there are things I won't discuss here (blogland) or anywhere else. Some things are personal. I also watch my language on my blog. I don't swear much in my real life, but I have my moments, which I don't reveal on the blog. My personality has trouble online as I am often ironic and that doesn't come across well on a screen. What in real life may come across as an oddball curmudgeonly person comes off entirely different on a computer screen. I can't say I don't care or that I don't try to curb myself at times, but overall, it is what it is. That is why I removed the followers widget....now I don't know if I've made someone mad or not! Much easier. I can see because of your profession how it would be a fine line to walk. I agree with the conclusions you arrived at Bonnie. I try to be as authentic as possible in my blogging but there are limitations to the medium, to me as a person, and to the pain and embarrassment I'm willing to cause others. Then again, maybe my Jungian Persona is also an authentic part of me. I just need to take ownership of it and responsibility for it. Amen Bonnie!!!! I totally agree..that here we can be ourselves and the funny thing...people like us just the way we are. So all of those masks that we have worn in the real world out there begin to crumble too. I love that! I do struggle now and again with being authentic here..like when my sisters joined me in blogging...uhmmm do I want them to know this piece about me? Yup...sucked it up and continued to be true to me and wow... we have much closer relationships because we have all put ourselves out there! I love that!! Many times I have heard someone say something mean or hurtful, followed, eventually, by a recantation like, "I didn't really mean the hurtful words I said." I've done this myself. How "authentic" was the statement, the apology? Just wondering. What is my real, authentic self? I have to ask myself that question as a kindergarten teacher and as a blogger, too. I think that the answer is remarkably similar: I'm most authentic when I don't want or need to revise or recant what I've said. From a Buddhist point of view there is no self. The issue of authenticity shifts, lightens up, and even disappears, sort of. Sort of, because I've learned--the hard way--to be familiar, even friendly with my "shadow side" or whatever I might wish to call it... the dark, negative, angry, sad, scary realms within me. These facets don't like being lived with, looked at, tolerated, accepted. They lose their power when I accept them. Given my multifaceted "self" what facets do I want to display in blogland? Or in kindergarten? That's easy for me: the positive, uplifting, optimistic facets. These facets are authentic, and worthy of sharing. The world's got plenty of dark stuff already being put out there. Turn on any TV and see for yourself. What a fascinating topic! That is a good observation about tone and humor, both of which are hard to express electronically. I do try to be authentic in my blog, but I don’t share everything to protect the privacy of others in my life and also not to bore my readers. Blogs can also suffer from TMI. I love your final image and how you chose just to show the reflection. That captures the spirit of your blog. Even if we can’t see the real you, we get a good image of what is inside you. It’s a pretty picture! Ellen: The way you describe yourself is very much what I perceive about you in your blog. You say it like it is - and we know clearly what to expect from you. I love that. It IS way too much work to try and maintain a facade, isn't it!!! Sandra: It is almost impossible to convey irony on a blog ... I've experienced that problem too! Personally I love your style. Your honesty is so appealing. Authenticity does not require that anyone reveal things that are personal (unless they choose). We all have a private side to treasure and protect where necessary. Barry: So true. Definitely there are areas that should be ours alone and are not material for blogging. On the other hand, where we choose to share such as you have done re: your cancer challenge, it can be very magnetic and helpful. Brian: It is a complex topic. There's what we put forward (authentic or not) AND how it is perceived through the lens of the reader's own issues and concerns. It is actually amazing that we are understood at all!!! It must be that we have so much in common, that when one of us dares to be authentic and honest - others can generally relate - and probably with gratitude that you are expressing something they have longed to articulate. Hi Bonnie, I just found you through Turquoise diaries and your post intrigued me. In answer to your questions, I use my blog to let out my authentic self (bearing in mind that, like for you, it is hard to read the glint in my eye and the quirkiness or the giggles ) which makes it quite a challenge to write sometimes. France is built on Façade - where isn't I guess? I promised myself I would always be true to my words and those that follow, follow for the authenticity - not because I fit in with a trend. I have found this to be true and bless the day I found out about blogging. Look forward to reading more of you. Sarah: Yes - if only we could all remember that we actually are so much more appealing when we are honest, authentic, vulnerable, etc. Who really would ever want to communicate with a veneer or a mask! Sarah's post today is also on the topic of authenticity. Hope you will all pop over for a read! That is something I have always loved about Sarah's blog - is the lack of falsity - the willingness to share exactly what is on her mind - whether it 'flatters' her or not. Such honesty has PULL! Dan: Yes, all our crazy contortions in self-presentation seem ridiculous from a Buddhist or transpersonal perspective where there is no self. Now that is freedom. However, most humans are functionning at an ego level - which is concerned with self, protecting the self, and presenting the self. I think a good start on the road to transcending the personal ego is with authenticity. Authenticity implicitly means we accept what we have 'authored'. We can only transcend that which we have accepted. When I started out I planned to make this blog truly my voice. I was going to be me, whether readers (if there ever were any) liked it or not. Now I find that is not so easy; some readers have become valued friends, some bloggers I now know personally, so at times, being totally myself, is probably not a good idea. On the other hand, I know that the "myself" I therefore don't want to present to others may not be a very nice side to expose anyway, so had best be kept hidden. One example is my current post. about my attempt to join the WI. I have absolutely no wish to be part of the ladies of the WI myself, but I know several ladies who are very keen members. Therefore, my post had to remain nicely balanced between what I really think and not hurting another blogger's feelings. see what I mean, Bonnie? Sarah Laurence: Ah..you are very kind. That's an important distinction you make - between authenticity and too much information. Authentic disclosure is very different from inappropriate divulgence. Ditto what Ellen said- in Bloggy world one's authenticity can not be faked and the cool thing about that is - if you don't like what or who that person is showing- it is just a click away- you don't have to live on the same street or meet up at the mail box for awkward polite chit chat.Blogging is such an opportunity to be who you really are without consequences - other than obviously being not read or cared about...I don't see that happening, however. Authenticity brings it out in others - I love blog world.We are "allowed" to be and to be vulnerable, no body is going to rush over to your house and shake you down...So grateful!You and your blog ,Bonnie,makes my existence a wealthier one- you give so much and it is always spot on! LOVE! Great dialogue! I have to first note Bonnie, that you seem to draw such intelligent and insightful followers. I admire how you start a topic and I learn through that but also through the comments that follow as well. I think I am ever mindful that I want to write honestly to the best of my knowledge at that time. But I do chose my topics and tone with my "audience" in mind, which happens to include both family members and friends in my case. My blog is my therapy - Becoming myself - is exactly about that. Its my journal, its my journey to myself. I become more and more authentic and are grateful having bloggie friends following me along inspite of my limited English! Not even being able to worry about tone or twinkle, for me it starts at the basics: do I express myself well enough to be understood in my innermost thoughts in my limited English. Blogging has freed me, has been enriching and I am so rich in having all these fab people, mostly from English-speaking countries, traveling with me. Thanks for being out there and thanks for being such a caring and concerned person. Bonnie, your posts are always thought-provoking. I endeavor to show the authentic me in my posts. I know that sometimes there are times that I hesitate to write things that may cut too close to the bone for others who I know read my blog even if they don't comment. Yet I remember my commitment to speak truth with love and, even when it's scary, write what I think needs to be said even if it makes the "too close to the bone" folks a little uncomfortable. I have decided to be "fully out" on my blog. I decided that my connection to my own authenticity was more important than the discomfort others might feel from reading "what I really think". I am trying to re-integrate all my "selves" into one again, so that I can be myself authentically as much as possible 24/7. Bonnie, I've been reading you for awhile and I've found your posts very thought provoking. For me, being authentic in blogland is to attempt a creative balance. Be creative, be real and be me. I write to an audience (I have no idea who they are except for commenters), but mostly I write for myself. It's an exercise, it's a journal, it's a way to share something that I'm curious or excited about. It would be difficult at this stage of my life to fake it. That being said, I just returned from a family get together in another city and conversation at the table turned to blogging. No one, even though I know they check it every so often, mentioned my blog. I decided that was probably a good thing; no need to stoke the ego. It's an ongoing conversation with myself as to what line to draw on privacy and personal "stuff." I agree with Ellen about personal stories that involve living people who I care about would most likely cross that line. Your posts always seem to hit on a topic that I need right when I need it! I've talked about being authentic on my blog before. Sort of calling myself out on my writing and my posting. Over time I feel that my writing and my posting quality have waned. I believe this to be true because I made the mistake of sharing my blog with people in my real world and do not want them to be privy to my thoughts and feelings. I wanted my blog to be purely authentic me when I started it and I think I did a pretty good job initially....but as I found myself writing more and more I let pride goad me into inviting people whom I probably would not have shared my most intimate feelings with in the real world to read the blog. I regret this. While I would like to be able to be completely authentic - with all people in my life - I am not inclined to always be so open. The blog world, on it's own can be a 'hiding' place so to speak and a safe haven for those who want their voice to be heard and not judged. I also associated followers with popularity and let that color my writing. I have set up a couple of other blogs, not fully committed to them, to perhaps move over to completely and abandon my current blog. But for some reason I have not been able to abandon the first blog because I love it so much. I love who I was in the beginning of that blog, I miss her. I could write a book.......and go on and on all night on the topic...but for now will THANK YOU...for pointing out what we all need to know and feel about who we are and what we are willing to reveal....I am crazy lika loon and proud of it! Ange: Thank you for dropping by and commenting. What an interesting point. I, too, have found that I can express myself more authentically in my native tongue. I guess we just have a larger vocabularly at our disposal. I'm glad you have found an outlet for your expressive needs. Linda Sue: What good points. Blogging does offer many freedoms (as well as constraints). And the other point you make is that when we are authentic it encourages others to be also. Hey Vicky: I do have amazingly intelligent readers and followers and you are one! I am so very grateful for all your thought-provoking comments and insights. Paula: Thank you for reading and commenting! Your English seems just fine to me! But perhaps for YOU, you know you have not expressed something exactly as you might have in your mother tongue. I remember when I first started socializing a lot with only francophones, I was aware that I could not reveal myself in the way I would in my mother tongue. In fact, my language deficiencies made me feel rather inauthentic when expressing myself. Boy, there are so many interesting facets to this topic that all of you are bringing to the fore! Thank you Paula. Meri: What you say is certainly evident in your blog. I think if we take the time we can find an authentic, yet kind way to express even what someone may not want to hear. I think you are saying authenticity with compassionate discretion - or something to that effect. conduitofjoy: Good point - authenticity is key to integration and healing. Thank you for your comment! Amy: Well thank you for commenting - now I can get to know you too! I like that - an ongoing conversation with myself about where/how to draw the line between what to share and what not. I would contend that we can be authentic while not sharing everything we are thinking about a topic. Just be authentic about what we do choose to share. An Open Heart: You are expressing a common theme that has emerged in the comments - about needing to be discrete once we let friends or relatives know about our blog. Well, at least we know we are all experiencing a similar struggle. I have always found you to be honest and 'open' in your blogging. But only you know what your original goal was. Adjustments usually have to be made en route to any goal. Maybe we all need 2 blogs! One open to friends and family - and one anonymous one where we can share WHATEVER, WHENEVER! Great idea. Strawberry Mallard: So nice to hear from you. It's great to be able to just be 'crazy' at times. I try to tame down my craziness by calling it quirkiness ... but my kids would probably say that I am pretty crazy at times. Makes life fun, don't you think? It's too bad when we find a forum that we think will be a bit like journalling - but then we realize, we cannot divulge everything we think here. I don't think that means we are not authentic. If I don't find much of worth in a post, I can click away - or - if I want to leave a comment I can find some point of common ground and authentically comment. Posts where I realize I cannot be authentic, I either keep general (and as authentic as generalities can be) or decide not to post on the topic. Quite a balancing act isn't it - weighing authenticity against privacy and discretion. 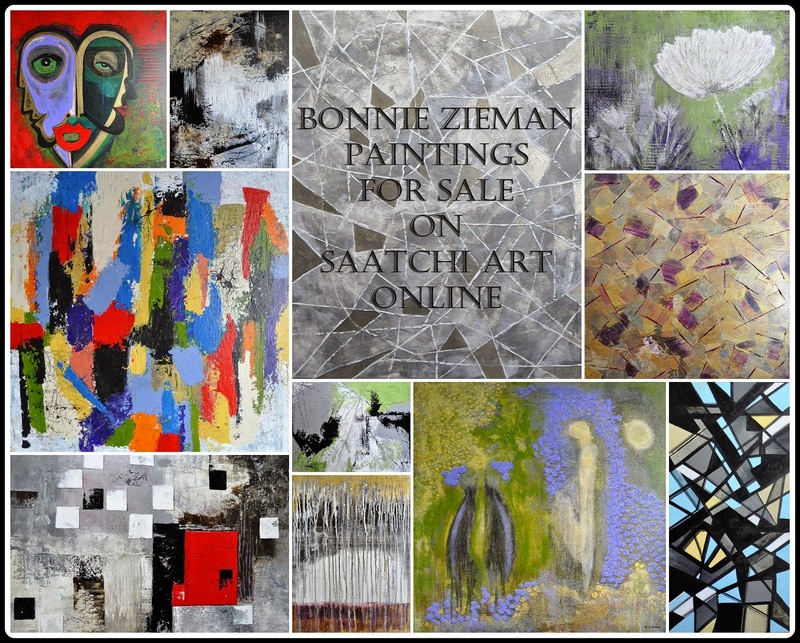 Bonnie, there have been so many comments - all interesting and often mirroring my own thoughts - that I won't add much more, except to say that being visible (not using a pseudonym) definitely has its drawbacks. Unlike you, I don't have a professional life to protect, but initially I worried about an ex who might use my blog to display...er...his lesser self. Somebody commented the other day that I must not be the same Deborah of the thoughtful essays as the one of the irreverent quips on my group blog - they seemed so different! It was a delight to find a place where I could express my humour and not be misunderstood, although there are times when I wonder if my meaning if correctly interpreted. These are issues in any relationship, but of course more so here in blogland without all the body language to help out. I have enjoyed seeing evidence of your humour, especially in the back and forth comments with certain other bloggers - it rounded you out as a person! When it comes down to it (gee I have a lot to say after all!!) even if I was anonymous, I would probably still blog the same way, with the possible exception of writing about my divorce more than I have. I'd rather have family and friends as readers, and share myself with them, than keep this part of my life to myself. I totally agree with your post! That is exactly why I started blogging 3 months ago. I have spent most of my life worrying about what other people think and keeping my opinions and passions to myself. Except when fighting for my son. However I have found from coming across other single and/or special need parents that I have been able to help, that I shouldn't keep my experiences and 'voice' inside. I don't have time to read all the comments right now, but I will tonight at home. I love your blog and thing you are very authentic! I am now following and putting you on my blog roll. Because I think you can help so many like me. :-) I hope that is ok! Yes, we do love to talk about ourselves - blogging and therapy are prime examples. Always enjoy your comments Deborah. Velvet Over Steel: Thank you for your comment and following. It does feel good to share of ourselves - to be of service - doesn't it? That is a very interesting post Bonnie that many of your readers enjoyed I think. I started my blog for family; it was a way to talk about my life in France, my becoming an expat in the US, my work and all my travels. It was mostly for my grandchildren now 1 and 3 years old, for them to read later on – at which time I may no longer be here or have forgotten too much. My daughter has a Facebook page that announces each of my post, so I know family, friends and people from work read it (even though they don’t comment.) It does not bother me really because I have never felt I needed to hide anything and usually am not afraid to share my opinions – unless they are about the US and I am careful because I may say something as a joke, and some may take it personally as I do feel better speaking in French, my language of origin than English and could use the wrong wording. I also think that it all depends about the kind of blog a person has. Some have blogs that are more like diaries, where they can talk about their intimate feelings; some are about photography or cooking, etc. Being raised in France I think I am more private than people in the US where people join clubs or have “support groups.” I can talk easily about politics, but not so well about religion and other sensitive subjects, plus I don’t feel that this is the point of my blog. Thinking about my grand children, I like my blog to have something to teach them, about which they will say: “Well I did not know about that” and so I am very careful in my research and try to be as accurate as I can. I enjoy blogs like yours where people can give their opinion – c’est très stimulant. Vagabonde: Je suis vraiment d'accord avec vous. I first began my blog as a way to record wome of my artistic endeavors, but soon saw it was a way to leave behind some of my learnings and philosphy of life for my children and grandchildren. Things I learned through difficult experiences or through years of schooling or from listening to my clients that could make their journey through life a little easier. I wanted to provide them this material in a format they could enjoy (with my photography and art). I soon realized that the learnings that most helped me and that I wanted to share with my children, were also relevant to and appreciated by other bloggers. So what I share here has evolved over time - as I'm sure it has for most bloggers. North America (especially the USA) is a touchy, feely, talky sort of place as evidenced by all the reality shows where people expose so much of themselves. I, too, feel it is too much at times - but I am comfortable with personal disclosures because of my work. We feel our way along, about what to post and who to follow. I so appreciate your insightful comments here. Merci encore! Natalie: My goodness - I do not recall getting a comment from you! It must be a blogger error ... or mine ... certainly not intentional. I know it is a lot to ask, but would you consider writing it again? Sorry!!! Sure, no probs. The gist of it, was that I have been completely open and authentic on my previous blog. Unfortunately, it backfired after a family member used it against me. I now have my main blog, where I am much more guarded (by Australian standards that is!) We are very open people as a rule, and I have found it an awkward experience at times,in that I have stepped on toes inadvertently, especially American people. Still,I have recently started up another blog, to record my spiritual experiences. This is an open blog, but filled with intensely personal content. I realised that the subject matter wouldn't appeal to alot of my regular readers on my other blog. My hopes for my new blog are that I can reach somebody undergoing similar experiences, and to meet like minds. Natalie: Yes, I think we do have to make a conscious decision about what and how much we will disclose - and the reasons for that will vary with different bloggers. But once we have set the parameters in our own mind then we can authentically share and interact within those paramenters. Thanks for re-writing your comment Natalie - I would not want to have missed it. Hope you will drop in again. My blog, as you know, is primarily photography with a bit of narrative explanation. Occasionally, I write about incidents that are of import to me - a reflection of a recent event in my life. I steer clear of many matters - personal, controversial, political, etc.- that's not what I want my blog to be about. I'm not as limited away from my keyboard, so I guess in that respect, I'm not as authentic as many of the bloggers I read. But what I do present, is done so because it represents a huge part of how I see my world and I suppose.. myself. It's authentic - just not all encompassing. Hilary: I think that summarizes it beautifully - "It's authentic - just not all encompassing." A perfect way to close this discussion. Everyone: I had the definite feeling in reading some of the previous comments that there was an assumption that to be authentic, one had to reveal all. Not so. That would mean none of us could claim to be authentic! We all have private areas/issues, we have the freedom to choose what we will and will not disclose. How wonderful is that!! Just trying to be authentic in what we choose to share is enough. In all communication we want APPROPRIATE disclosure not TMI divulgence. We can be authentic while still keeping information to ourselves - being discreet. Thank you ALL for your authentic comments here!